1. My dad left when I was a kid. 2. My mom is in love (insert eye roll). 3. With a guy who is like 10 years younger than her! 5. I love ballet but our dance studio has a leak and we have to dance in this smelly studio that doubles as an aikido dojo. 6. There’s this Dojo guy who thinks the studio belongs to him. 9. Need to quit either basketball or ballet. Or both. 11. Dojo guy is asking me to dance with him. And maybe he is as cute as my friends say. 12. I don't know what to do anymore! 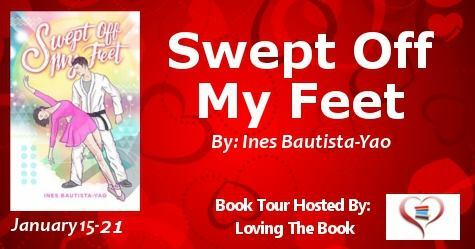 Ines Bautista-Yao is the author of One Crazy Summer, What’s in your Heart, Only A Kiss, When Sparks Fly, All That Glitters, and Someday With You. She has also written several short stories. Among them are “Plain Vanilla,” “A Captured Dream,” one of the four short stories in Sola Musica: Love Notes from a Festival, “Things I’ll Never Say,” part of the Summit Books anthology Coming of Age, and “Before the Sun Rises,” part of the Ateneo University Press anthology Friend Zones. 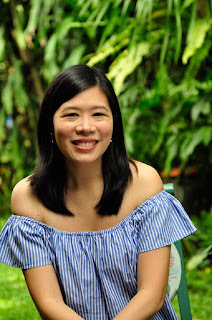 She is the former editor-in-chief of Candy and K-Zone magazines and a former high school and college English and Literature teacher. She is also a wife and mom who lives in the Philippines with her husband and two little girls. Her books are available digitally on Amazon and Buqo.ph.